Just had this idea for a Flying V pizza guitar after a conversation with Frank Chimero and had to make it a reality in Photoshop. Since a 3 minute Google search didn’t turn up anything similar in existence, I’m going to claim this concept as my own. 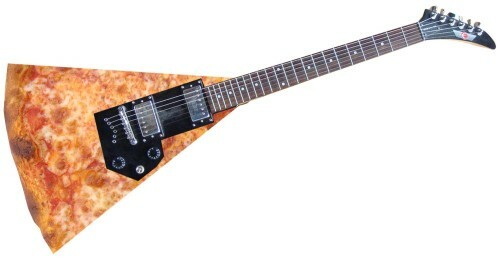 Guitar makers: let’s make the Nick Sherman Pro Model Pizza Slice Flying V a reality, please.